A quick view of the most influential metrics in River Ridge. River Ridge is a CDP (census-designated place) and suburban neighborhood of New Orleans. It is a close-knit community with low crime rates and historical, peaceful surroundings. River Ridge is bordered on the north by Metairie, on the south by the Mississippi River, on the east by Harahan and on the west by Kenner. It is ethnically and racially diverse. Uniquely, over 24% of all residents share French ancestry. English is the primary language though some residents also speak Spanish and other languages. Average commute times for residents of River Ridge range from about 15-30 minutes. The area was originally developed by French colonists and their families. It began as large sugar plantations in the late 1700s and early 1800s. The sugar plantations had a narrow span of riverfront area but extended far back from the river for the bulk of their land. Among the main plantation families were the Trudeaus and Saves.This early era left its stamp on the community in the alignment of streets, buildings, and sidewalks. Sauve Road remains the primary thoroughfare in the community to this day. In the early 1900s, an interurban transit line was constructed connecting River Ridge to surrounding communities like New Orleans. Still, much of the area remained rural for many years. However, after WWII the suburbanization era hit and large scale development occurred making River Ridge the community it is today. The CDP has a primarily white-collar workforce, and the majority of adults in the workforce are educated executives who enjoy a wealthy lifestyle. The suburb is in the top 15% of highest income neighborhoods in the country. River Ridge spans 3.6 square miles, 2.8 of land area and .8 of water. In 2000 the population was 14,588 and the population density was 5,181.6 people per square mile. In the same year, the median household income was $46,286; the median family income was $58,139, and the per capita income was $27,088. By 2010, the population was 13,494 and the population density was 4,827.9 people per square mile. In 2013, the estimated median household income in River Ridge was $55,256, the estimated median per capita income was $38,626. Also, in 2013, the estimated median house or condo value was $241,737 and the median gross rent was $814. The current median real estate price is $375,464, and the current average rental price is $1,608. Public education is provided by the schools of the Jefferson Parish Public School District. 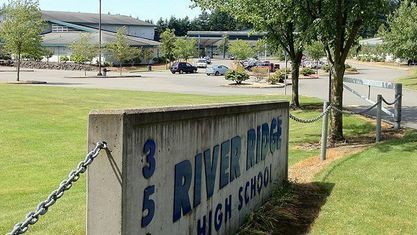 Schools in River Ridge include Riverdale Middle School, Riverdale High School, and others. Most of the residences in River Ridge were constructed between 1940 and 1999. Real estate is primarily medium to large freestanding single-family homes with 3-5 bedrooms or more. Among the homes for sale, common styles are ranch homes and cottages on estate sized lots with open floor plans. Other real estate options like apartments and condominiums are very rare in this community. To find the home of your dreams in this comfortable suburb, call local real estate agent Mary Danna today at 504-517-6533. View our selection of available properties in the River Ridge area. Check out the latest demographic information available for River Ridge. Get to know River Ridge better with our featured images and videos. Browse through the top rated businesses in the most popular categories River Ridge has to offer.